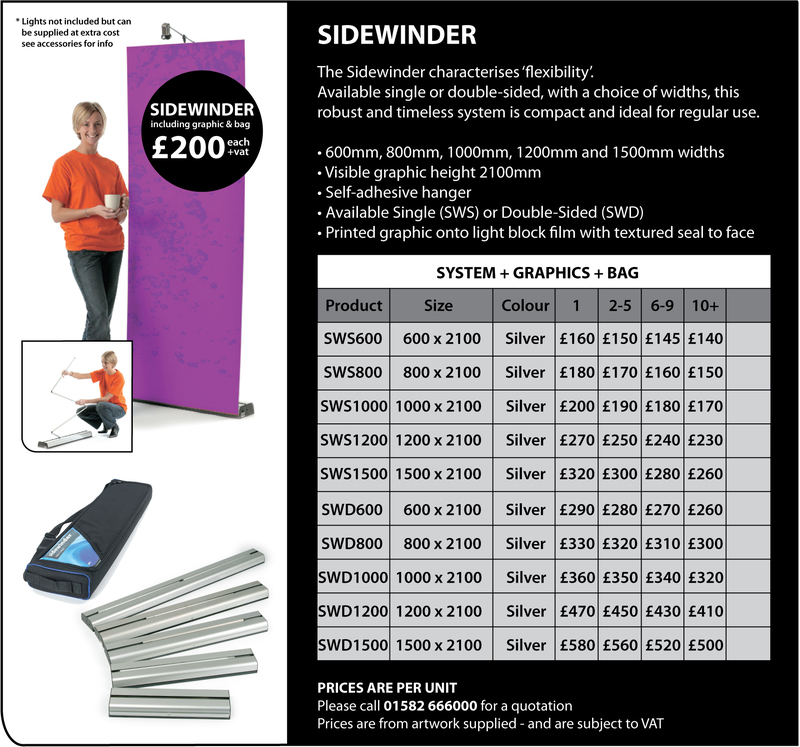 Roller banner stands are the PREMIUM QUALITY OPTION, offering quick and easy assembly. 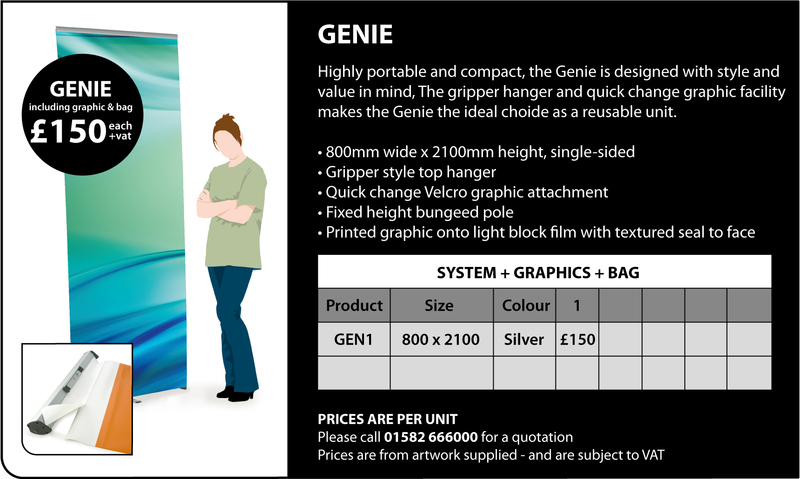 Featuring RAPID CHANGE of graphics, a choice of widths and DOUBLE SIDED graphic options on selected systems. 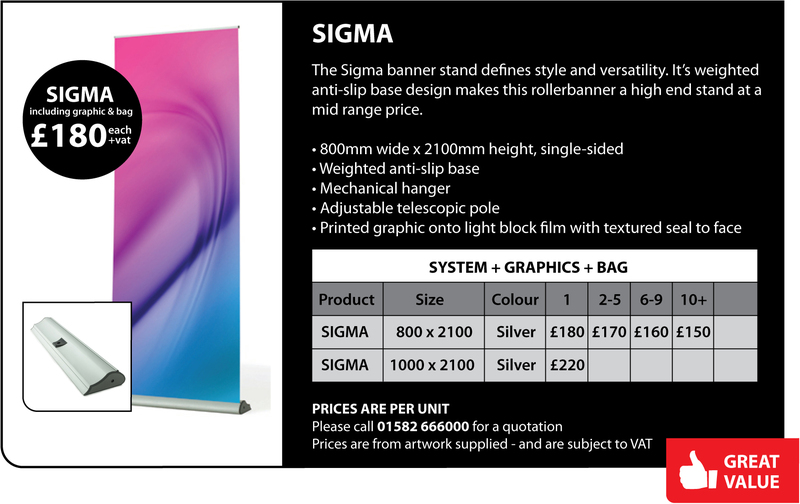 These really are the ULTIMATE banner stand systems. Complete with carry bag. 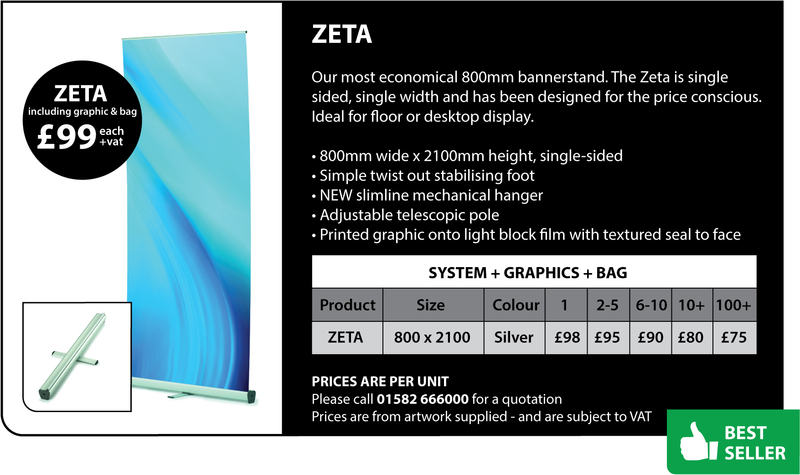 Our comprehensive roller bannerstand range offers functionality and style at a price to suit all budgets. Patented roller technology, allows not only easily adjustable graphic tension, but also the reliability and durability your customers demand. Choose from a versatile range of heights, widths, single or double-sided systems and telescopic or fixed-height bungeed poles. Please call 01582 666000 for more info.